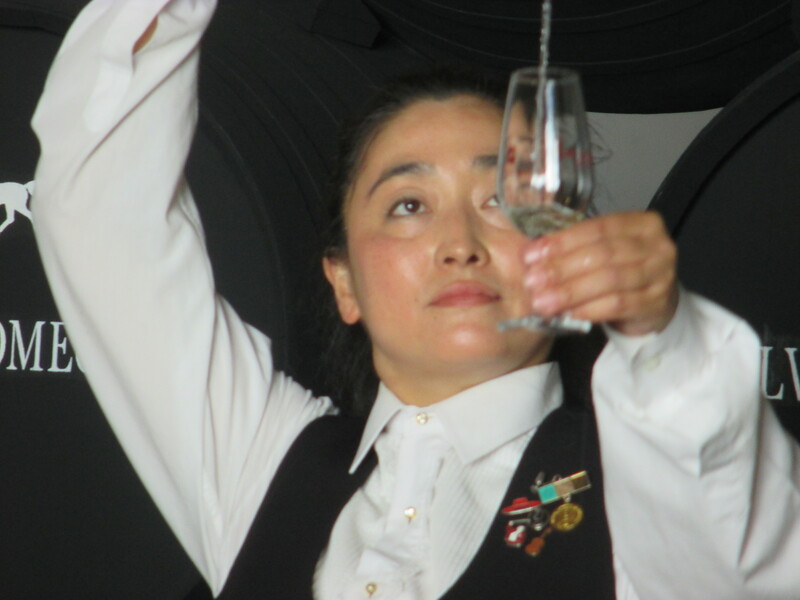 Estamos celebrando International Sherry Week de muchas maneras. 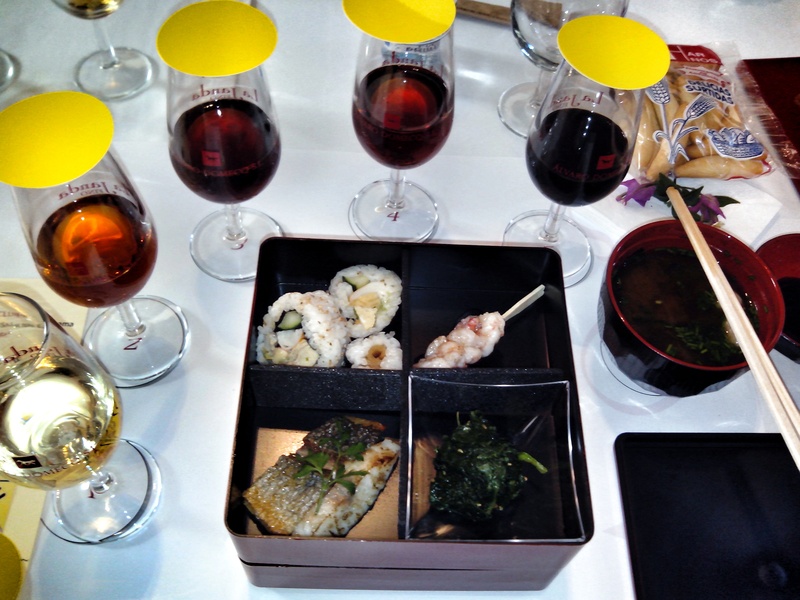 Unas asistiendo a catas como la cata maridada con vinos excelentes y gastronomía japonesa en la bodega Álvaro Domecq. We are celebrating International Sherry Week in many ways. 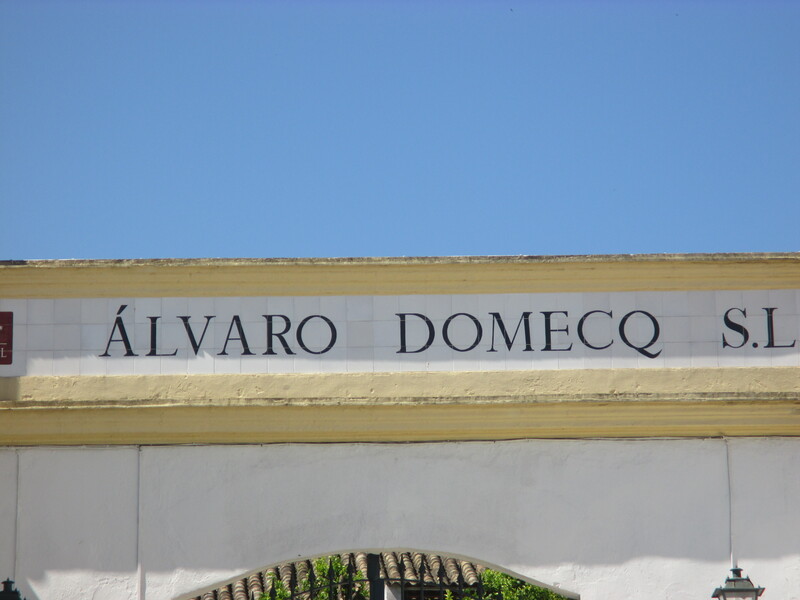 One of which is attending tastings like the one that was paired with excellent sherry wines and Japanese cuisine at the Alvaro Domecq Bodega. Gloria Fernández del Hotel Pinomar y Vicky Miller de Discover Sherry en plena celebración. 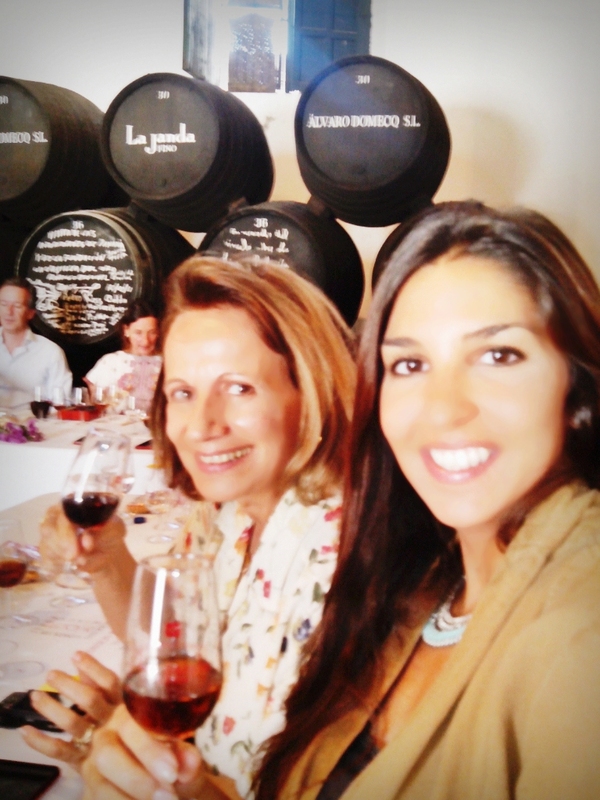 Gloria Fernandez, of the Hotel Pinomar, and Vicky Miller, of Discover Sherry, enjoying the celebration. Otra cata tuvo lugar en la Bodega Lustau. Fue una clase magistral de el enologo Manuel Lozano sobre los vinos de crianza biológica del marco de Jerez. 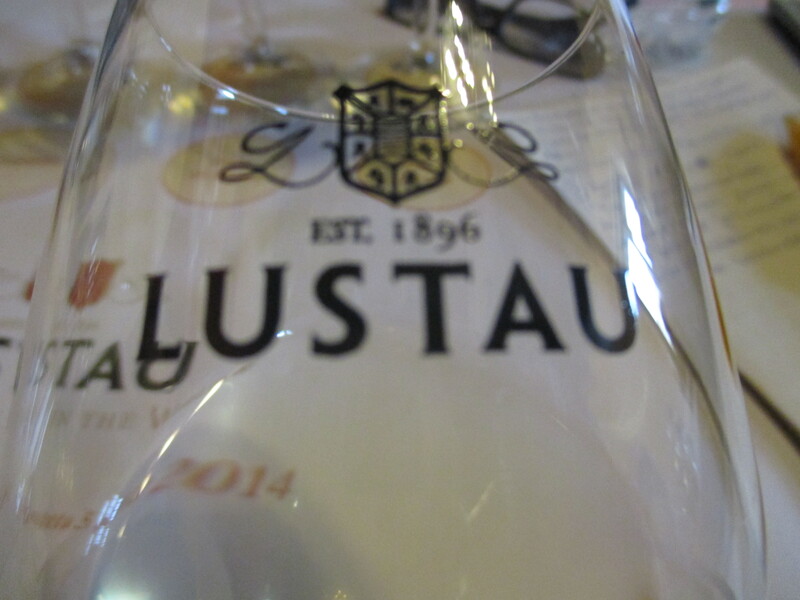 Another tasting was held at the Lustau Bodega. A master class was given by enologist Manuel Lozano. The class focused on those Sherry wines that undergo biological aging. A la salida nos hicimos la foto de #sherrylover con los amigos de Paladar y Tomar y Guillermo MdV. 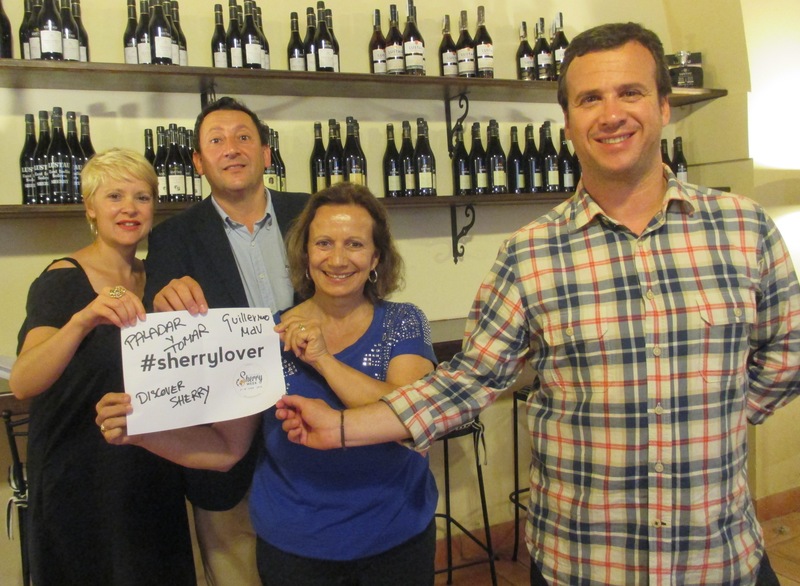 Afterwards, we took a photo with a copy of the #sherrylover hashtag and with our tasting and gastronomy buddies. Otro grupo de Jerez que asistió a la cata también se hicieron la foto de #sherrylover y es que el mundo se esta llenando de sherrylovers!! 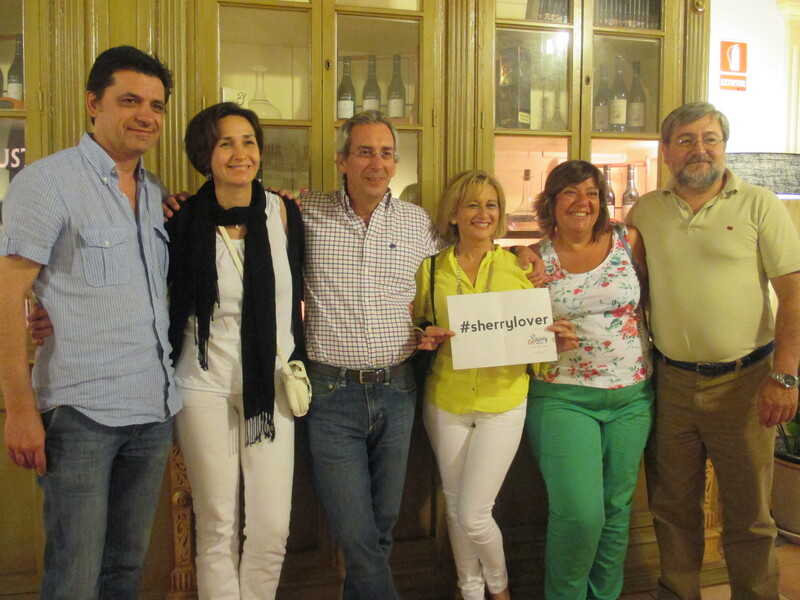 Another group from Jerez, who also attended the tasting, took their photo with the #sherrylover hashtag. There is no doubt that the whole world is full of sherrylovers! !